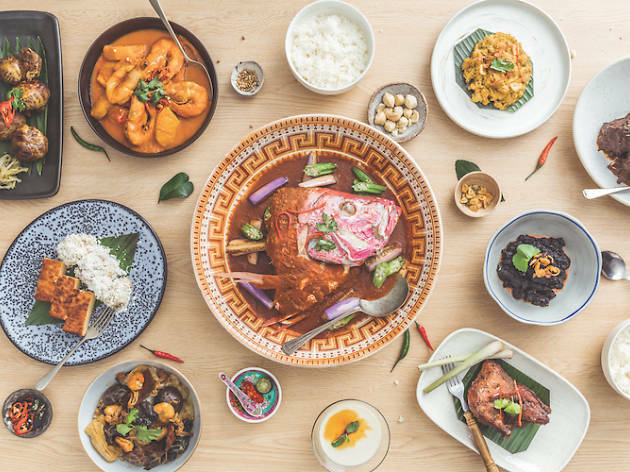 One thumb of ginger, a few pinches of mustard seeds, and a generous dash of love – if you’ve ever asked a Eurasian or Peranakan grandparent for recipes, instructions like these will sound familiar. 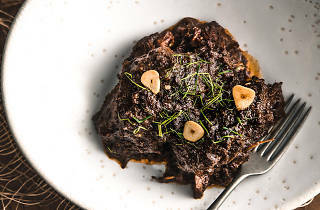 It’s a wonder how any of us know how to cook heritage dishes like devil’s curry at all. Thankfully, there are still those among us who won’t let this legacy die. Damian D’Silva is one of them. And in Folklore, the veteran chef seems to have finally found his roots. 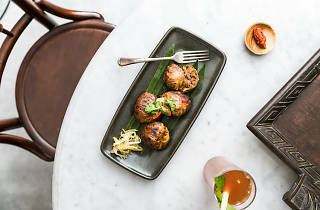 Instead of fusion or other modish cuisines, D’Silva has gone back to basics, serving up dishes he had growing up. 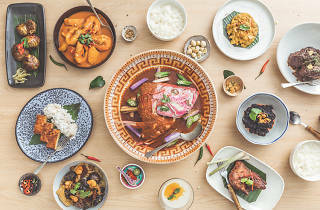 This includes Peranakan food whipped up by his maternal grandmother, Eurasian food by his paternal grandfather and, from his friends, a host of dishes representative of the other local communities. The food might take some time to arrive, as D’Silva is pretty much the only one running the show, and everything is made from scratch the old-fashioned way. 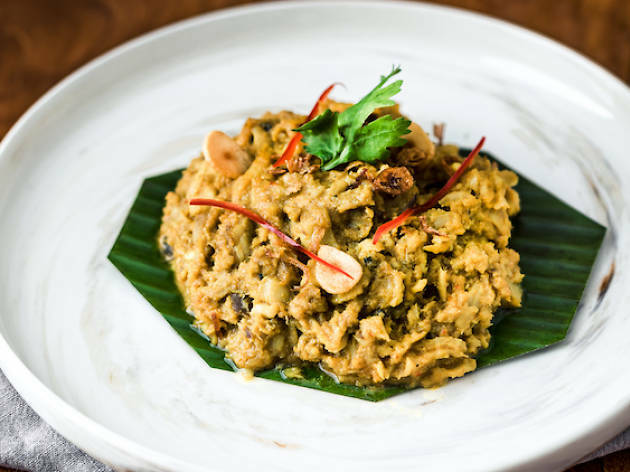 Patience is rewarded with dishes like D’Silva’s sambal buah keluak fried rice ($28), which is served with a sunny side up egg that also acts as a surface for more buah keluak paste to be slathered on. 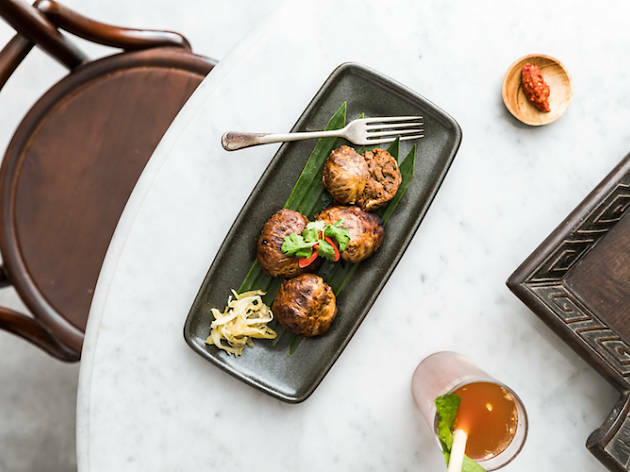 Kissed with flames from the wok, the fried rice is delightfully smoky, but could have used more buah keluak for an added punch. 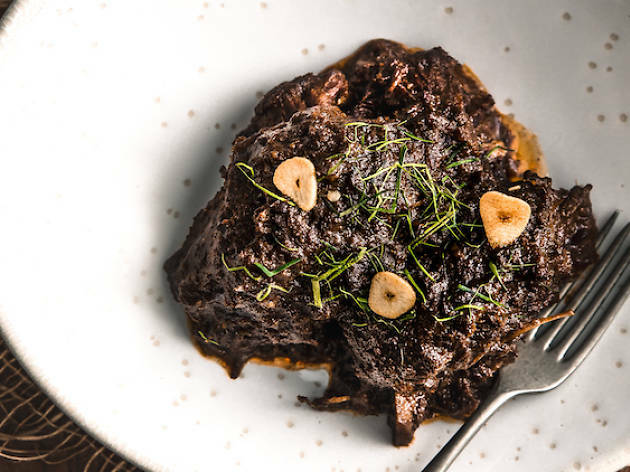 The beef cheek rendang ($36) is yet another labour of love, simmered for hours ’til the meat is impossibly tender and the sauce lusciously rich. 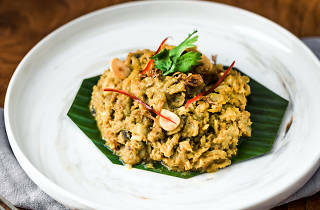 Aside from the favourites, D'Silva's new menu also includes prawn sambal with petai ($26), a savoury dish of prawns and smelly beans, sotong masak sambal belado (market price), perfectly cooked slices of squid tossed in punchy sambal and ayam goreng ($24), deep fried chicken that's been marinated with galangal, shallots and dried spices.